Steve Jobs is the example of an entrepreneur that “changed the world“. He is an example for many entrepreneurs that would like to launch innovative products and services. Unfortunately most of us don’t have such great and detailed vision so we need other methods. 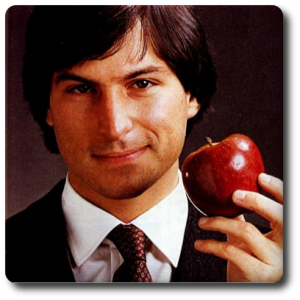 Besides also Steve Jobs had also its failures in vision but the “myth” Steve Jobs is the example. I would advice not try to be the 2nd Steve Jobs but use a more scientific way to create your products (maybe Steve Jobs had a more scientific then visionary way). The book, The Lean Startup from Eric Ries describes a method to develop a startup, or better a company that create an innovative product or services bringing value to the customer. It also starts with a vision, based on the vision you create a strategy, if the strategy doesn’t work, you define a new one (pivoting) and you continuously optimize the product with the build, measure, learn iterations. Starting with the vision, it is important to be sure that your vision is correct. If you discover after some time that the vision is not correct, all the work you did before is probably wasted. So define your vision and find proof or proof it before you start seriously. Eric Ries called Zappos as an example. The CEO of Zappos wanted to proof that “you can sell shoes via Internet“. He went to a shoe-shop, made pictures of the shoe and put then in his simplified online shop. Every time he sold a pair of shoes he went to the shop to buy then and send the shoes to his customer. It worked so the vision was proofed. We, at ContentForces have the vision that marketeers should use the “learn-by-doing” tool/service (or Experiential learning) to discover “accountable marketing” for their product, service or company. The method should also be reachable for Small Medium Enterprises. The first step will be to validate the vision. An agile approach is to test the value for the customer and the possibility of growth. To create a strategy that includes the value- and growth hypothesis. The big challenge is to define a Minimum Viable Product (MVP) with the right metrics for accountable innovation. If the hypothesis fails, you need to pivot otherwise you can persevere and optimize your product. For optimizing your product you use the Build, Measure, Learn iteration. The first Minimum Viable Product (MVP) needs to be defined to test the vision. Probably it will be the Concierce MVP. I will keep you posted on this blog with the progress.